It's not the World Cup, but hey, it's soccer! And it's in Danbury. So go watch, in person, some semi-pro soccer games at WestConn (Western Connecticut State University) in July. Western Connecticut State University's Westside Athletic Complex recently become the new home of the Newtown-based, semi-professional soccer team CFC Azul, financed by Newtown resident and team managing partner Peter D'Amico. CFC Azul has signed a three-year contract with the university, which will host the team's home games. This agreement is the latest in a string of community-building sports programs that D'Amico has spearheaded in the area since his own youth soccer coaching days in the 1980s. 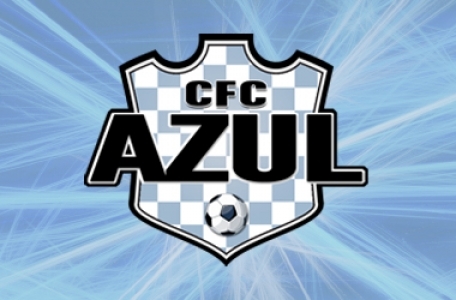 CFC Azul is a member of the Premier Developmental League of the Northeastern Division of the United Soccer Leagues, and is the only soccer franchise in the state. The 2014 season marks the team's second year with the PDL, a league that provides competitive college-age players the opportunity to be recruited by Major League Soccer teams. D'Amico invested in the CFC Azul franchise in February and is working with the team to build a home stadium for the future. According to Azul's website, "WCSU shares our long-term vision for progress, innovation and player development." WCSU President James W. Schmotter added, "We're delighted to be able to help Azul PDL provide the community the opportunity to enjoy a high-quality athletic experience at our Westside Athletic Complex." Projects like this are not new to D'Amico, who founded the Newtown Youth Academy in 2008. NYA is a not-for-profit sports center, whose facilities are often rented out to local sports clubs and youth teams. Boasting an indoor turf field, a track, and basketball, volleyball and tennis courts, the NYA became a source of strength and comfort in the days immediately following the Sandy Hook Elementary School tragedy. D'Amico opened the facility as a place where community members could escape from media coverage and come together to begin the healing process. Today, the NYA is the headquarters for the CFC Azul franchise. According to the CFC Azul website, D'Amico said, "We look forward to a new deeply integrated community collaboration to further showcase a high quality of soccer in western Connecticut. Our goal is to train competitive players for the PDL team as well as prepare players for college, university, professional and national team opportunities." D'Amico said he hopes the games will attract families and help build a base of young fans that will support and benefit from the PDL program. Regular game day tickets are sold for $10, $5 for children ages 11-18 and free for children under age 10. Editor's Note: This just in, literally. HamletHub has just learned that each of the home games above will be broadcast live by the university station, WXCI Radio. You can hear coverage of the game in the Danbury area on FM radio 91.7 and online at www.WXCI.org. College students from WXCI are doing all of the live play-by-play coverage for each home game.